Police on Mont-Blanc! Going too far? Policing of the “normal” route and Trois mont-Blanc route on Mont-Blanc will now go ahead for this coming summer climbing season 2013. 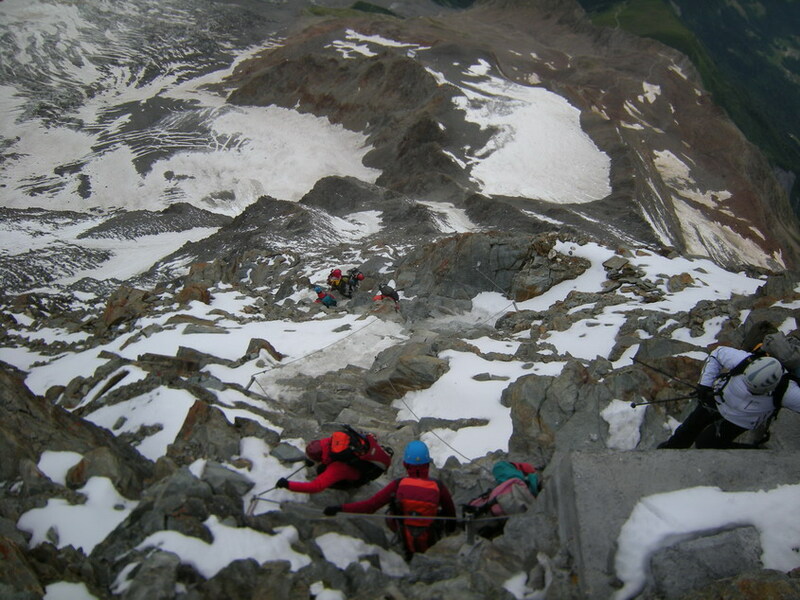 From June through to September police will be placed on two very popular climbing routes to inform and, when necessary prevent people attempting Mont Blanc. They will mostly be present in two places: the Col du Midi and the Tete Rousse hut. They are being placed there to educate climbers and give advice for a successful summit attempt. They will look at equipment, peoples fitness, weather and other factors. The only place where is it permited toÂ bivouac is at the TÃªte Rousse, where there is a designated camping area.